Previous post: The bead makes the Beeton; the button makes the glove. In this episode: Two great Welsh heritage sites become socks. A new computer makes life more interesting as it blows my schedule all to hell. I talk at length about the Tintern Abbey pattern release, and my less-than-straightforward Pentre Ifan process (prototype pictured above, in Regia Extra Twist Merino). The final word on the Lanesplitter Skirt. Not the final word, I’m sure, but a word on eco scrubbies. An interview with Knot’s on the Square owner, and knitwear designer, and podcaster, Kate Jackson, then we commence dusting off the old patterns and making them shiny. Read Mrs Beeton’s Book of Household Management and Mrs Beeton’s Book of Needlework, free on Project Gutenberg. String beads, beads, beads for Beeton with a Beadspinner! Watch this video. Cool, yes? I have wanted one for AGES. And the Mrs Beeton classes have provided the absolutely perfect excuse to buy one. I ordered one in oak. I can’t wait to play with it. A hearty hello to Cast On Tour 2012 sponsor, TomBihn.com. 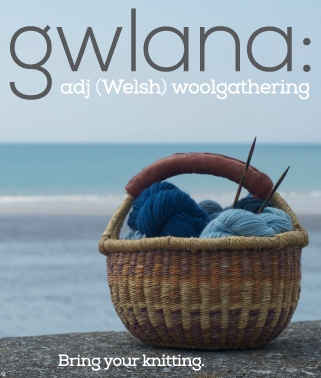 The only travel website in the world with an entire page dedicated to products for knitters. Check the Swift, and know that we’ll be talking at length about their many fine products as I make my way westward across the USA. Another DIY Scrubby! I love them in theory. I’m still searching for one to make or buy that I love in person. Thoughts, questions, problems, comments about YOUR knitting? Be the subject matter expert, and leave them in the comments section below. Travel bag research begins here and here. And ends here. Music by Josh Woodward, Learn to Fly, from the cd Here Today. Hey Brenda, are you still looking for things to do while you’re in the SF Bay Area? I’m in Berkeley and enjoy showing folks around (and we’re of the same generation). What improvements would knitters like?….actually I would like to see journalists, especially arts journalists, start to take us all a lot more seriously…. …and welcome to the Apple world Brenda. Thanks for the link to Tom Bihn. I knew they made knitting bags, but had no idea about their luggage. I just bought the Tri-Star – perfect for carry on for business trips! Brilliant! I love my Tom Bihn bags- just got a Swift, and it is my go-to bag for sure! I went on to the Audible site to sample Silver: Return to Treasure Island, and Audible is unauthorized to sell the book in the US. Bummer! 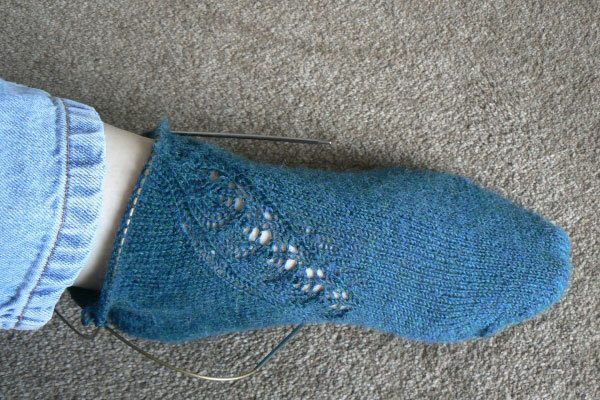 Last weekend I downloaded the Tintern Abbey sock pattern and am enjoying the knitting. Thanks for a lovely pattern. I am a fan of your spare esthetic designs! Very classy. What knitting improvement would I like? At the risk of starting a controversy, I would like to know where the fiber in a yarn was grown as well as how the yarn was dyed, spun, and/or otherwise processed so I can make thoughtful purchases that respect the environment. Some of the information I want is available in a variety of places but I’d love to have it on yarn labels in an understandable format. This is a philosophical/ethical question for me. I’m always trying to balance the need for the inspiration that comes from good tools and beautiful materials while being a thoughtful consumer. I’m aware there are many facets to this issue and I am not out to convert other knitters to my point of view or judge anyone else. I’m just suggesting the information be easily accessible. It was great to hear Kate’s interview – I have signed up for your classes at her store. Is there a list of the materials needed for each class? The audio from Cinderella made me laugh—my sister went through a phase in which we had to watch that movie EVERY. SINGLE. NIGHT. Awesome episode, as always, Brenda. I’m still bummed I can’t meet you on your U.S. tour! I’ve added a materials list to all the classes on the Mega Tour page. Thank you for asking! So glad you will be in Corvallis! I’m just up the road in Salem so I signed up for they class yesterday. Looking forward to meeting you then! can’t wait to meet you in person, I’ll be coming to the book signing on Monday, April 30th. I’ll bring my Anthracite cowl. Did you realize that you will be missing the MD sheep and wool festival on May 4 and 5? If you ever come back this way during the festival, I have room and live about 30 minutes away from the fairgrounds! Would you believe I hadn’t looked up the Tintern Abbey sock until JUST NOW..?! Seemingly unbelievable, but there it is – I love it! Gorgeous lacework, and the fine lines running down the length of the sock give a very pleasing straight order and simplicity such that the lace doesn’t feel too much. Suffice to say, have ‘favourited’ and intend to knit at some point. Thank you! I have a suggestion for a problem that I have found in knitting which no one has yet come up with a suitable solution for. Remember when you complained about the felted slipper pattern being so hard to follow? I took a class for that slipper, and the instructor had us write each row of the pattern on small cards which could be flipped over after it was completed. That way, one would always know where one was in the pattern. I have done this with other patterns. Voila! Gone would be chart keepers, magnets, pencils, sticky notes, etc! Someone should publish patterns on flip cards. Amen. Brenda, how brilliant you are for approaching Tom Bihn to be your tour sponsor! As a self-described bagaholic, I have a little Swift, and hope to acquire a regular Swift in cork as a reward when my weight equals the purchase price. We’ll see how that goes! Can’t wait to hear your review of the Aeronaut. You will put it through its paces for sure! Maybe you could do a little detour to their Seattle factory when you’re on the west coast? Love your podcast and glad that you’re broadcasting again. I love the Tom Bihn bags and I think it was *inspired* for you to approach them about being your sponsor. Also love your beadspinner gadget and I think your concerns about stringing beads eating into class time are entirely valid. I am in awe of the TOUR page and your music for the imaginary yarn store is amazing. It reminded me of one of my very favourite tracks, which I hunted down a few years ago… it’s by Jack Strachey and I think you will like it. The maiden voyage of my new Tom Bihn backpack was smooth sailing last week. It’s the best bag I’ve used in a long time and it was exactly what I was looking for in a backpack. (It doesn’t look like it belongs on a hiking trail, doesn’t collapse onto itself, has two ample exterior pockets, and the bungie cord securely held my raincoat.) I’m so glad they’re a sponsor! I love the new format of the podcast. It’s great to hear you more frequently! Brenda, of course you should read Treasure Island! Best would be a hardcover copy with the N. C. Wyeth illustrations, but do download LibriVox version 2. See you in Northampton. I looked for the naughty girl podcast but did not get anything having to do with knitting . So here I am looking on show notes and it’s not there either. 🙁 . At my yarn shop in Massachusetts there are several knitting-circle regulars who adore your podcast. I finally got time to sit quietly with my laptop to listen to your most recent articles, and now I get why Jan and Deb love them. Beadspinner and buttons on gloves, oh so wonderful! I would love to have a real stash storage system. Right now the bulk of my yarn is in ziploc bags in a large black plastic bin on a shelf (well, what isn’t in a cardboard box or the two project bags full of sock yarn…). I would like something I could put into a closet where I open the door and see All The Yarn. Will be seeing you at the Memorable Yarn event at Lion Brand. Sadly I had to cancel the Sherman toe and heel sock class due to an unexpected trip to Disney World for my birthday. So excited to meet you at LBYS in NYC!!! My biggest problem with knitting is getting respect from others for my fiber art. I wish people were more educated and didn’t look down on fiber arts as ‘quaint crafts that are silly and foolish’….I actually had someone say that to me once!! I haven’t read Silver yet, obviously, but Treasure Island is an absolute RIPPER and you will love it. It is a perfectly thrilling story, totally worth reading. Counting the sleeps until you are in Waterloo! (Must keep reminding myself it is not this coming weekend, but the one after). 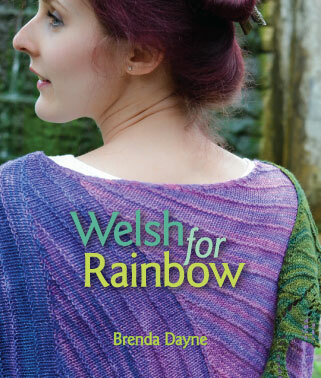 Must remember … book to sign, and bring knitting, wool, and not to get into a car accident driving to Waterloo, and no catastrophes at work. Thank you for your podcast. I recently ‘found’ you and am gobbling up previous casts. You have kept me company this week while I’m out making sales calls in northern Illinois/southern Wisconsin. Definitely read “Treasure Island”. I recently downloaded it free for Kindle and reread it while in the British Virgin Islands. 😉 It’s a quick read and compelling. Hey, may I ask who did that excellent a capella cover of Airplane at the end of the podcast? I didn’t think it was possible to improve on the Indigo Girls, but I guess it is. Wow! Disregard previous message. I just found the reference. A knitting tool I would love? I do lace knitting with lace weight yarn. For stitch markers, my options seem to be plastic/rubber circles that can move under yarn overs but don’t get tangled in your knitting. Or dangling markers that resist moving over or under stitches, but I have to spend 5 minutes untangling the stitch markers from my knitting after I take it out of my project bag and I worry that one day it’ll damage my yarn. So, inexpensive stitch markers that don’t move under lace stitches but don’t get tangled up in the knitting. Found you again after a couple years just in time for a long flight tomorrow, and you are still in search of the perfect scrubbie. My perfect scrubbie is the Turtle Tawashi by Lauraslefthook on Ravelry – one side of tulle the other cotton, of course it is crocheted but that’s the only draw back. I love to make these with lots of color and like to think they are off for a swim when they fall back in the water. I’ve often wondered if they could be done with those net bags vegetables come in back in the states for a more eco friendly version, but I haven’t yet tried this. Catching up on the podcast! My big issue with knitting is the lack of LYS’ in the area that I live. I have one within driving distance that isn’t going to cost me an arm and a leg in gas and with that I am very limited on what I can buy yarn wise and accessory wise unless I want to shop online and pay for shipping >.< I wish we could have more LYS' as they are more fun to shop and visit then online stores. I was just stretching my back and shoulders, after a brisk walk on my treadmill(which is when I listen to your podcasts) . And I think the greatest tool that I could use would be spare body parts. Like a new shoulder. It is so hard to avoid using it. I get chiropractic and massage for it, I ice it,but I’ve only been knitting a wee bit and I have so much knitting, and yarn and sewing and housework. Ug, forget the housework. I screwed it up by picking up my granddaughter when she was smaller. Love your podcasts. I’m a bit late catching up, and the moment I heard you talking about sock toes, I thought about these: http://www.etsy.com/listing/113740628/toes-warmers-cozy-toes-hand-knitted-from?ref=v1_other_1 It’s the solution to all your sock toes 😛 what else they’re good for, I’m not sure.